Chile is trying to become the next Silicon Valley. The government is offering $40,000 to each potential entrepreneur plus a visa, free office space, assistance with networking, mentoring, and fundraising. 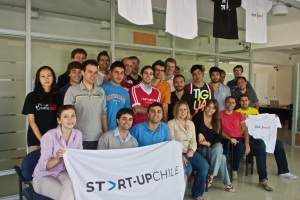 The program, called Start-Up Chile, is still in the pilot stage. It will officially launch in mid-January. You can read about some of the teams here. Some of them are tackling water problems, others have tracking systems for solar panels, another is a travel planner. Vivek Wadhwa, who helped conceive the program, says this will work where government-run technology centers tend not to.